Antwerp is celebrating the work of Léon Stynen, one of Belgium's greatest 20th-century architects, in a series of exhibitions and events. Here's a look at five of his most important buildings. Although not well known outside of Belgium, Léon Stynen played a key role in creating an architectural identity for his hometown of Antwerp, beyond the borders of the city's old town and its 19th-century suburbs. He also built a number of significant modernist buildings across Flanders. Born in 1899, he counted architects like Le Corbusier among his influences, and later among his friends. 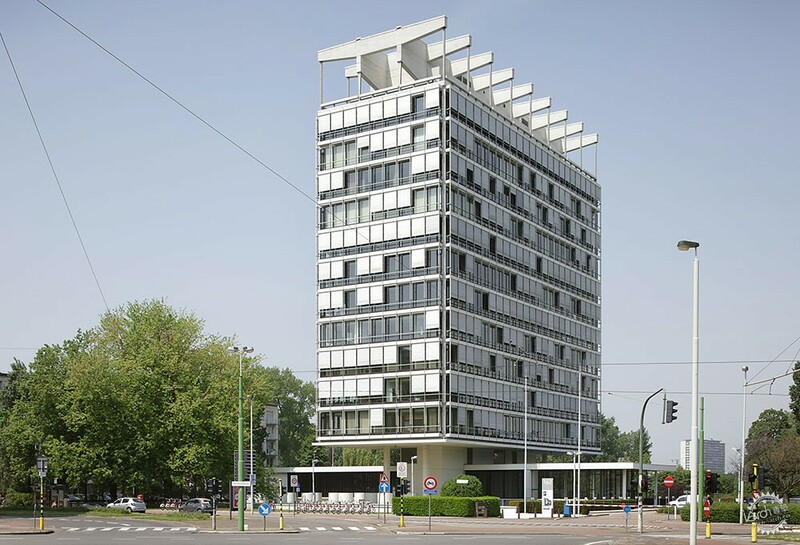 By the time he died in 1990, he had contributed a series of major residential and cultural additions to Antwerp, including the arts complex DeSingel, now home to the Flanders Architecture Institute (VAI). "Few Belgian architects have left a more striking and varied work," said Sofie De Caigny, director of VAI. "He owed his fame not only to the scale and quality of his work, but also to the role he played within architectural education and the professional organisation of architects' associations," she told Dezeen. Stynen became one of the first architects to donate his archive to the province of Antwerp 30 years ago. 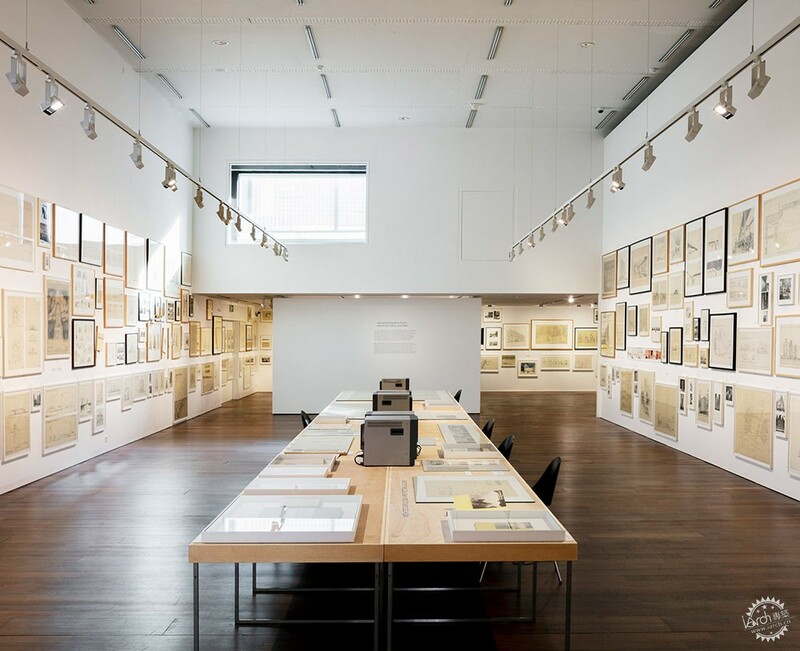 The archive collection – now encompassing the work of over 160 architects – is managed by VAI. The institute is currently hosting a major exhibition of Stynen's drawings, accompanied by a new book on his life and buildings, plus two smaller shows – one on his photography of Chandigargh and another on his relationship with art. The city has also released a walking map for self-guided Stynen tours, alongside a series of events. "One could say Stynen's archives formed the start of the collection of Flanders Architecture Institute," explained de Caigny. 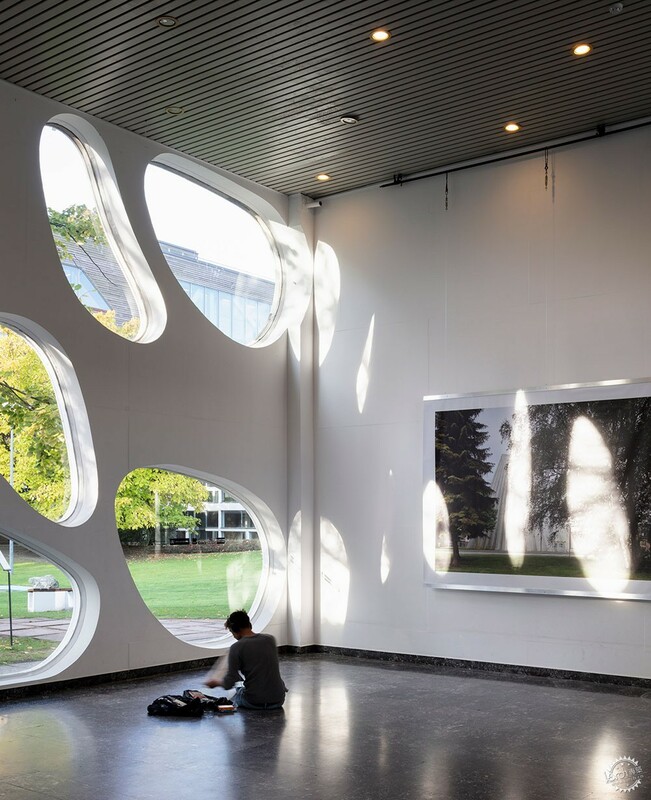 "The Flanders Architecture Institute wants to shed new light on his oeuvre," she added. "His work can be read as a reflection of social, economic and intellectual evolutions in architecture." DeSingle is Antwerp's major cultural campus, housing the Royal Conservatoire Antwerp, the Flemish Architecture Institute, various music and theatre groups, radio station Radio Two, a cafe, an auditorium, theatres and performance spaces, and galleries. The building, with its complex internal layout, took more than three decades to realise. It was built in stages, then repeatedly expanded and reorganised by Stynen and his successors, with elements of the building reflecting the architect's progress through the latter years of his career. It remains one of his most important buildings. Completed in 1963, the BP Building is a feat of engineering. The floor slabs and facade grid are supported by steel cables hanging from nine cross beams at the top of the building, which are in turn supported by two main beams sitting on the concrete core. This hanging system allowed Stynen to create a largely column-free design with extensive glazing on the facade, making the internal layout more flexible and brighter than a traditional office building. It also allows the main body of the structure to sit above an entrance with a much smaller footprint. Although no longer occupied by BP, the oil company that commissioned the building, it remains known locally as the BP Building. The late 1920s waterfront casino in Knokke was the first of four casinos in Belgium designed by Stynen, and helped establish his early reputation in the country. His biggest commission at the time, it represents a significant transition in Stynen's work. 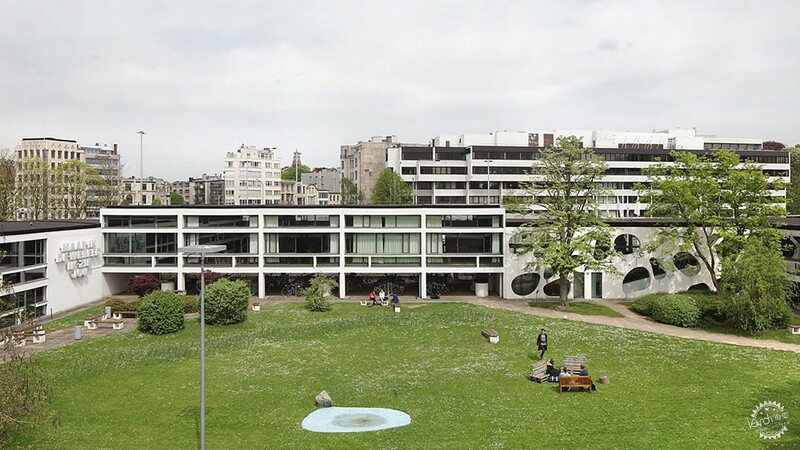 He had recently been exposed to the architecture of Le Corbusier, partly via his friend, the artist René Guiette, whose home in Antwerp was the architect's only building in Belgium. But the heavy, rounded volumes and symmetrical columns still suggest a lingering influence from Stynen's Beaux-Arts training and the Art Deco movement. The building houses significant art works by René Magritte and Paul Delvaux. Described as a severed pyramid, the unusual structure of this small church from 1966 is deceptively complicated. Ultra-thin walls are kept in place by an internal dome construction, with no columns or additional reinforcements. Construction work was stopped half way through due to concerns about the complicated form, and a concrete engineering specialist was brought in to help the architect retain the shape. Occupying a site in Zandberg, a suburb just outside Kortrijk, the church is currently painted white, although Stynen had wanted it to remain raw concrete. The single window occupying the small flat roof at the top of the building creates a lighting effect that illuminates the heads and shoulders of the congregation. In the Antwerp suburb of Wilrijk, Residence Elsdonck was designed by Stynen to reflect some of the ideals laid out by Le Corbusier, with residences above retail surrounded by a small green space. The building features distinctive round balconies on the facade house and protruding semi-circular columns of windows contain the main staircases. At the back, long strips of glazing create sun terraces for the residents. Completed in 1934, part of the building was declared a protected monument in 1988. Today the entire structure is a designated architectural heritage building, although some of the original green space has been lost. It is still occupied by private residents, but tours are possible during Flanders' annual Open Monument Day.